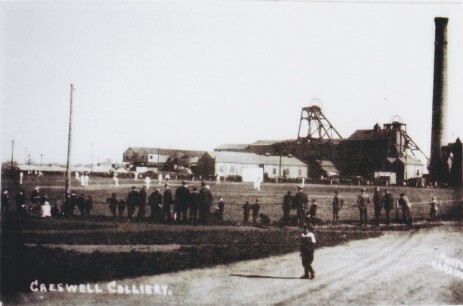 The colliery was the second of the Bolsover Company Collieries and shafts of 445.5 yards deep and eighteen feet in diameter were sunk to Top Hards between 1894-6 with production commencing in 1897 from that seam by the Bolsover Colliery Company and a 'Model Village' was constructed in the shape of an elongated octagon for the colliers, officials and their families in line with other collieries of the company, the village was started at the time the colliery was sunk and completed by the early 1900's. The colliery was later modernised in line with all other collieries after Nationalisation. 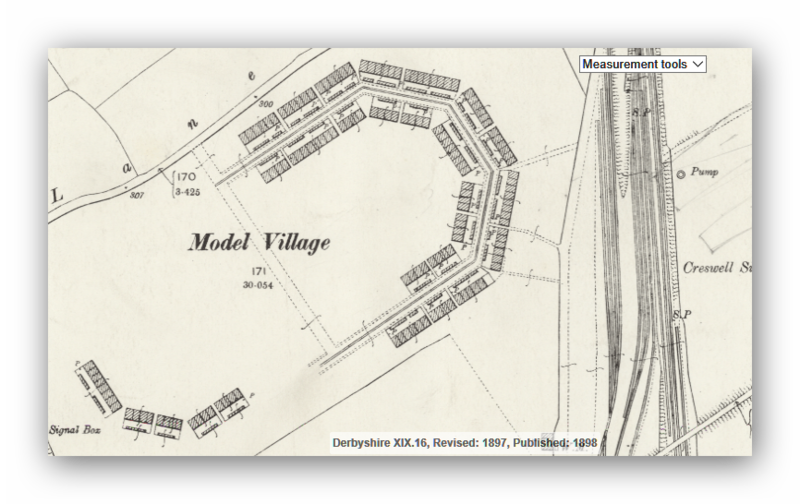 In line with the company brief the pit or Model Village gave the miner cheap accommodation for the family and had all the modern amenities including a sports ground with the pit itself having baths and a canteen. Production from the Top Hard or Barnsley Bed of fine quality steam, household and engineering coal from 1897 and continued until exhaustion in 1942 when the colliery turned to the High Hazels seam for its bread and butter which it had been developing and working since 1933 until it too was exhausted in 1969. The Clowne Seam was developed and worked between 1958 and 1968 with the Threequarter Seam and Deep Soft Seams. The shaft was 444.5 yards to Top Hards and in 1939 the No.2 shaft or upcast was deepened to 736 yards to explore the Low Main seam. A cross measure drift was engineered at a gradient of 1in3 between the Top Hard and Low Main seams to enable the seams development. The seam lay at a 1 in 30 gradient and was about 4foot 6 inches thick. 1144 men were employed underground 355 on surface in 1950. 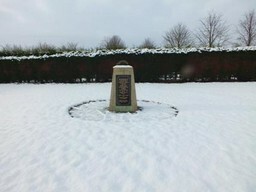 The shafts also passed through the High Hazel seam which lay at 329 yards from the surface. 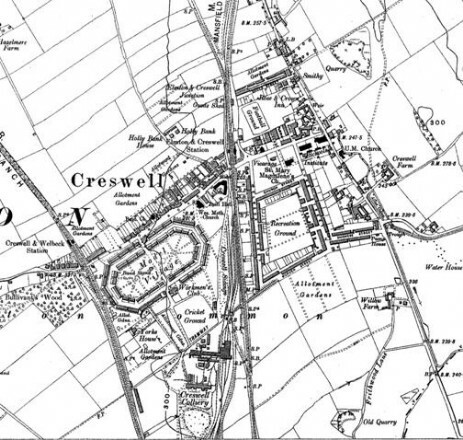 The colliery was later deepened 1935-40 to access further coal reserves. 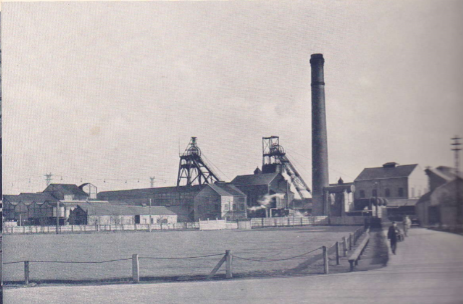 In the early years of 1900 the colliery was able to produce an average of between 3,000 and 3,200 tons of coal per day and at this time the colliery held a world record for winding 3,800 tons in a single day. Lighting was introduced into the colliery by 1907 powered by a battery and charged by a dynamo, unfortunately these lights were not too bright but at least this was an improvement to the working environment. 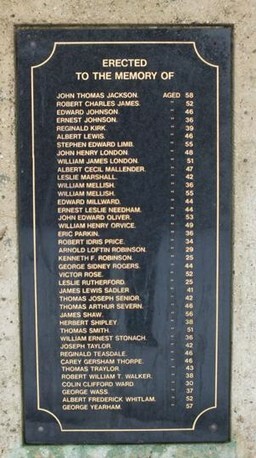 An accident occurred at the colliery in 1938 on 2nd June when a tub train accident resulted in three deaths and a number of injured men. 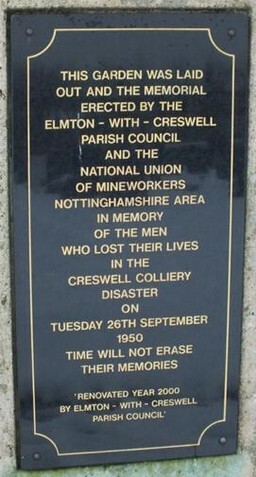 Later in 1950 on 26th September a fire broke out in the colliery on the South West District resulting in the loss of eighty lives. (Derbyshire's worst pit fire). As a result of the fire all rubber belts were withdrawn from all mines throughout the world. Later during the 1960's the 'Self Rescuer' device was implemented. This device worn about the miner’s belt could be easily removed and used as a breathing mask in a fire; it converted the deadly carbon monoxide into harmless carbon dioxide. The majority of miners killed in fires were not burnt but were simply overcome by the deadly carbon monoxide fumes in the air; they then collapsed and died of asphyxiation. From the Report on the Accident at Creswell Colliery on 26th September 1950. Ministry of Fuel & Power 1952. BODIES RECOVERED ON 26TH SEPTEMBER 1950. In each case the cause of death was carbon monoxide poisoning. All parties agree that the fire started at the No. 2 Transfer point about 3.45am on 26th September 1950 when 232 men were underground of whom 133 were employed in the South-West District beyond the site of the fire. Two men left the district before the fire leaving 131 men inbye of the fire. 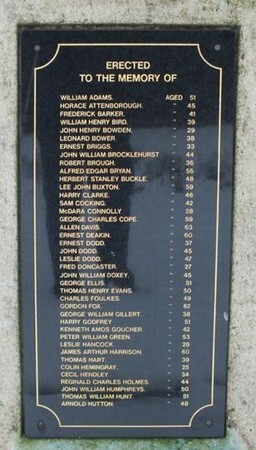 51 men escaped the fire by travelling along the return airway, the eighty who lost their lives all died from carbon monoxide poisoning. The conveyor had been seen to be damaged by scouring along its length but the cause was not found until after the incident. The fire was initially fought with portable extinguishers, sand bags, stone-dust and the water main hoses; however the fire hydrant system was in the process of being updated to larger diameter pipes and was fed by tanks which were in turn fed by a pump. The pump was not working that shift as it was broken down mechanically and resulted in a lack of water pressure to the fire fighting hoses, it was said at the Inquiry ‘that it was just like standing in a garden watering flowers’. Repeated telephone messages failed to improve matters. It was not until after 5.10am upon the arrival of the Colliery Engineer that matters improved. It was found that the atmosphere in the mine was so deadly and there may have been a build up of methane which may have led to an explosion and that it seemed impossible that anyone inbye of the fire would be alive. It was decided to suspend any further rescue attempts and seal off the roadways to help extinguish the fire by starving it of oxygen. The two stoppings were constructed by men wearing self contained breathing apparatus in shifts from sand bags and were some 1000 yards from the pit bottom, one on the intake 8 yards long and the return airway stopping, which was both difficult and dangerous 7 yards long. At one time the rate of man-handling sandbags was 800 an hour. The stoppings were then strengthened by being bricked up at the outbye end some 3 feet thick, a ten inch diameter pipe was built into the construction of the stoppings to allow for sampling of the air which was done at regular intervals and sent to the laboratory at Bolsover initially and then a makeshift laboratory was found on the colliery site. It was decided at a meeting on December 18th 1950 that as the burning had ceased a plan was to be drawn up to reopen the area during Easter 1951 (22/3/51). A plan was prepared and laid out at a meeting of all departments on 23rd February 1951. 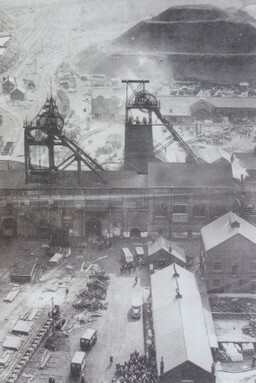 Rescue teams opened up the stoppings and found that the fire had travelled 610 yards, full ventilation was restored to the complete colliery by August 10th 1951and the remaining bodies were recovered. The conveyor was inspected and it was clear that the fire had been ‘started at the top of the chute plate by frictional heating between the wedged torn belting and either the No.2 delivery roller or the No.2 belt, as it passed around the roller’. The resulting fire burned a large amount of torn belting which was lodged in the conveyor delivery chute. The gear head of the No.2 conveyor was removed from underground and re-constructed on the surface and tests carried out to find out what caused the tearing and shredding of the belting. It was concluded after testing that a reasonable explanation of the damage to the conveyor belting would be that a piece of ironstone had wedged in the top of the No.2 chute and moved the belt over and wore and tore at the conveyor and rollers. The cotton material of the belting being the fuel for the fire followed later by the rubber from the construction of the belt. There had been some criticism of the way in which messages by telephone were sent, it seems that there was little warning to the men underground of the impending danger nor to instruct them to evacuate the mine and as a result the future siting of telephone exchanges should be on the fresh air side or intake and not the return or upcast side of the mine to avoid foul air and fumes in cases of emergency as at Creswell. In some mines the exchange should be sited on the surface and a log should be kept of any emergency and an emergency procedure should be practiced. A. Qualitative and Statistical Analysis of incidents involving fire. Where the Hazards Lie. B. Origin and Spread of Fire. Sources of Ignition. Detection of Heating and Study of. Temperatures of Ignition of Coal Types. Travel of Fires. Fire Hazards Involved with Diesel Locomotives. C. Underground Communications. Warning Systems. Emergency Warning Systems. Siting of Telephones and Exchanges. Patrolling of Conveyor Systems. New Systems of Communication. D. Automatic Devices. Warning Devices and Sprinkler Systems. Fire, Heat, Smoke, Gas, Activated. Switch Off Power. Sequence Control of Conveyors. Dust Removers. E. Fire Fighting. Fire Drills. Use of Current Equipment. Development of New Equipment. Standardisation of Equipment. Testing and Maintenance of Equipment. Extinguishing Agents. F. Rescue. Apparatus. Self Rescuers for all Men. Drills. G. Fire Proofing. Conveyor Belting. Timber. Lubricants. Brattice Cloth. Cables. Paints. Standard Tests for Fire-proofness. Noxious Gases Produced in Fireproofing. H. Preventative Measures on Equipment. Use of Hoods. Self Lubricating Rollers. Rubber Lined Driving Pulleys. Belt Joining and Stitching. Belt Maintenance. Conveyor Chutes. Auxiliary Driving Belts. Use of Open Type Conveyor Structures. Width and speed of Belts. Means of Preventing Overloading Belts. I. Colliery Layout. Roadway design and linking. Location of Conveyors. Installing of Conveyors. Use of Alternative Haulage Methods. Water Supply, Quantity, Quality and Pressure. A visit in 1898 by the Institution of Mechanical Engineers. 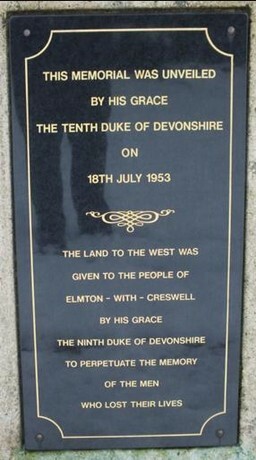 This is a new colliery opened by the Bolsover Colliery Co., on the eastern boundary of their royalty. There are two shafts 18 feet diameter, sunk 445 yards deep to the celebrated Top Hard , seam of coal, which is from 5 feet 0 inches to 6 feet thick, and is identical with the Barnsley bed of South Yorkshire. There are 125 yards of cast-iron tubbing in each shaft, which keeps back the water and obviates the necessity and expense of pumps. The main winding shaft No.1 is fitted up with a steel girder headgear, which is the largest ever made; the height from pit-bank level to centre of pulleys is 65 feet, and the pulleys arc 18 feet diameter. 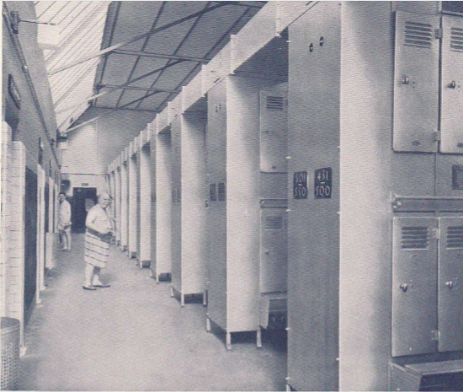 There are two double-deck cages in the shaft, and three tubs of coal are wound on each deck; each tub carries 12 cwts. of coal, so that at each wind 3 tons 12 cwts. of coal are raised. The two decks are loaded and unloaded simultaneously, both at the top and the bottom of the shaft. On the pit bank the tubs from the top deck run on a falling gradient to the weighing machine, after which they are tipped by a mechanical tippler on to jigging screens and carrying belts; by this means the coal is divided into different qualities according to the size, each quality being spread out on a separate belt for the purpose of picking out all dirt, pyrites, and other impurities. The tubs from the bottom deck run on a falling gradient to a creeper, which raises them to the same level as those from the top deck, and they are dealt with in like manner. The winding engines for this shaft were built by Messrs. Thornewill and Warham, and have cylinders 40 inches in diameter with 7 feet stroke, and slightly conical drum averaging 22 feet in diameter. The engines are fitted with automatic expansion gear. No. 2 shaft, which is the upcast, is fitted up with pitch-pine headgear 52 feet high from bank level to centre of pulleys, and the pulleys arc 16 feet in diameter. The shaft is fitted up with single-deck cages holding three tubs upon the deck. No coal is at present being drawn from this shaft; but it is intended eventually to raise 800 to 1,000 tons per day from it, when the underground workings are fully developed. At present it is used for sending down timber and all other material into the mine. The colliery is ventilated by a high-speed fan 20 feet in diameter, made by Messrs. Walker Brothers, Wigan, which is driven by a compound engine and ropes, and is capable of producing 200,000 cubic feet of air per minute with a 3-inch water-gauge and 170 revolutions per minute. There is an electric lighting and pumping plant, driven by a Marshall engine fitted with Cruet's trip governor. The lighting dynamo has a capacity of 300 16-candle-power lamps and 110 volts; and the pumping dynamo is 20 horse-power, driving a motor and pump 1,000 yards away for supplying feed-water to the boilers. Electric haulage machinery is about to be put up. There is a range of ten double-flue Lancashire boilers 30 feet by 8 feet, fitted with Hodgkinson's coking stokers; and creepers for supplying slack to the stoker hoppers, and for conveying the ashes away from the boilers. The chimney stack is 9 feet internal diameter and 175 feet high. The workshops consist of smiths', fitters', and joiners' shops, stables, mortar mill, store room, time-keeper's office, and corn and chop chamber. 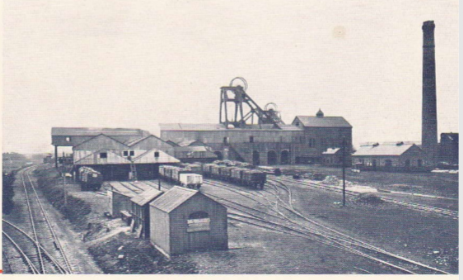 The colliery has been designed to produce an output of 3,000 tons daily; and the whole of the sidings have been laid at a uniform gradient of 1 in 75, doing away with the necessity of using any locomotive power. The present output is from 1,600 to 1,700 tons daily, and the number of men employed is about 700. The general manager is Mr. John P. Houfton, and the certificated manager Mr. J. G. Linneker. 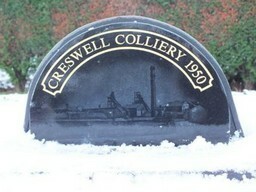 Creswell Colliery View. Harold Alsop. 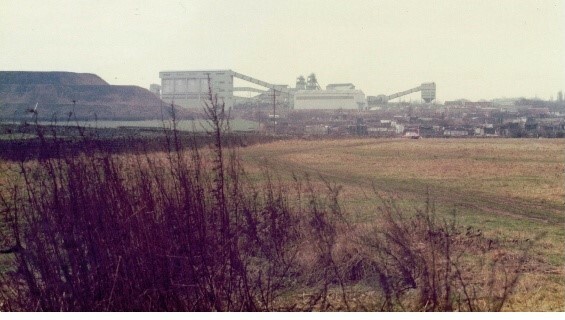 The colliery at the time of the Disaster. I was browsing looking for something else mining related and came across your Creswell site and wondered if you'd be interested in the attached photograph of my great-great-grandfather, one of the sinkers of Creswell Colliery. Details are in the short article under the photograph.